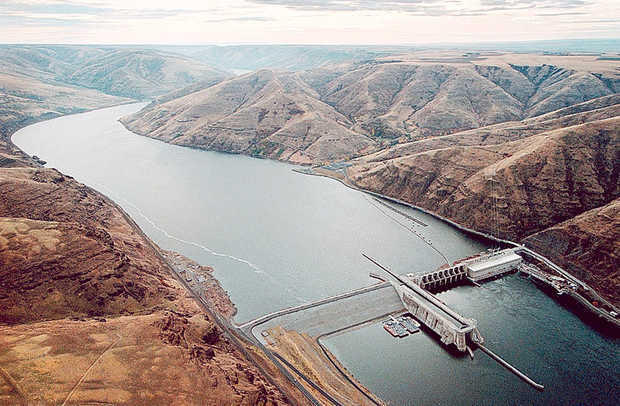 The scoping process for the BiOp-related Columbia River dams EIS will start soon, according to BPA. The action agencies--BuRec, U.S. Army Corps of Engineers and BPA--will conduct "over a dozen public scoping meetings this fall in small towns and larger communities in Idaho, Montana, Oregon and Washington," BPA spokesman Dave Wilson said in an email to NW Fishletter. Further details about this first step in the EIS scoping process will be provided soon in a Notice of Intent (NOI) to be published in the Federal Register. "During the scoping period, the public has an opportunity to provide comments that will be used to inform which topics will be analyzed as part of the EIS," Wilson said. In a May 4, 2016, decision rejecting the current 2014 BiOp, U.S. District Judge Michael Simon called for a comprehensive EIS to evaluate all the reasonable alternatives for managing and operating the Federal Columbia River Power System to recover listed salmon and steelhead species. Simon expressed hope that an EIS would "encourage new and innovative solutions to be developed, discussed and considered," and that "federal agencies, the public, and our public officials will then be in a better position to evaluate the costs and benefits of various alternatives and to make important decisions," he wrote in the ruling. Under the National Environmental Policy Act, the federal agencies have until Sept. 30, 2017, to finish scoping for the EIS, and until March 26, 2021, to complete the EIS.